In the Spring of 2015 the large white oak tree at 3059 S. Abingdon Street was recognized as a Notable Tree by Arlington County. The selection criteria include size and/or age, species, historical interest or significance the community. The age of this tree is unknown but some think it dates to the Civil War. “During the rental years, tenants or future tenants would make their way with the unerring instinct to the administration building. There they would apply for an apartment, or pay their rent before the seventh of the month – along with a $10 charge if they were late – or reserve one of the building’s rooms for a community get together, or file a complaint. … It served as a link between tenant and general manager. 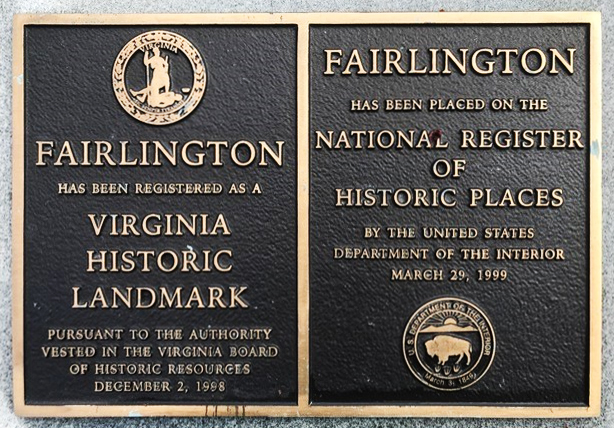 During the tenant occupancy years – 1943-1977 – it was a link forged by that strongest of all intangible steels: a genuine and deep affection for Fairlington by tenants and by managers.” (p. 75) Today the building is a Long & Foster Realtors office. “A family man, architect Kenneth Franzheim believed people in a community needed more than their homes. They needed schools as well. Arlington School Board applied for a grant (September 1942) from the Federal Works Agency and was given $190,000 for an elementary and $174,500 for a junior-senior high school in Fairlington. And Defense Homes conveyed 8.1813 acres to the county ‘for and in consideration of,. Ten(10) dollars … for public school, park, recreation and other public purposes …’ in the rental housing project (March 1943).” (p. 83) The school opened in 1944 and closed in 1979. Today the building is the Fairlington Community Center. On display at the Fairlington Community Center are the sale models used in the 1970s when the Fairlington property was converted from rental units to condominiums. They were used to show potential purchasers the layout of their new neighborhood. 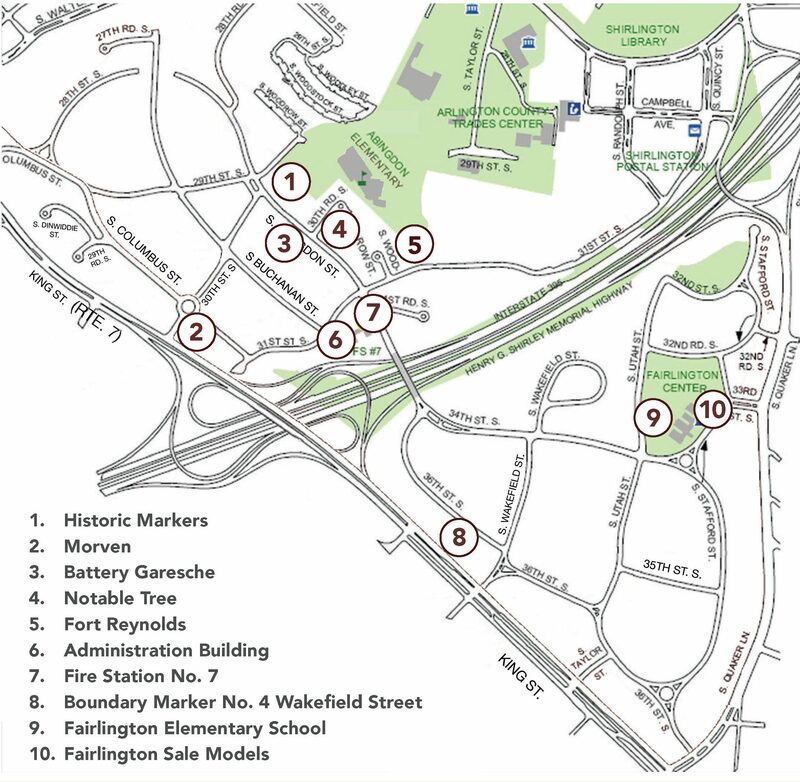 In 2010, the models were repaired and restored with the financial support of the Fairlington Historical Society and the Fairlington Citizens Association.